Easter is a feast that is often celebrated with the family. Over the centuries different customs developed in the regions of Germany, which are cultivated today with much love and sense for tradition. The long-awaited spring is coming into nature and can be admired especially at Easter time. In his lyrical classic “Osterspaziergang” (Easter walk) Johann Wolfgang von Goethe already described the Easter tradition of taking a walk-through nature. Rabbits are the first animals to have their young in spring and are therefore regarded as a symbol of fertility. Rabbits and eggs are a sign of fertility. Because the eating of eggs was forbidden during Lent, the hen’s egg also played an important role as food. Because hard-boiled the basic food held itself long and could be eaten at the end of the chamfering period still with relish. Today’s Sorbian Easter eggs are based on an old decoration technique of the early Sorbs from Lusatia. Because according to Christian custom the work should rest on Good Friday, the Lusatian Serbs painted chicken eggs instead for the forthcoming Easter. Easter is the best time to invite the family and sit comfortably at the richly decorated Easter table. The choice for the Easter biscuits ranges from the delicious yeast plait to the juicy Easter cake. In addition to all the delicacies you can bake, a fragrant Easter nest on the table will delight your tempers. The pastry is a yeast dough wreath with a red Easter egg in the middle. We wish: “Happy Easter”. 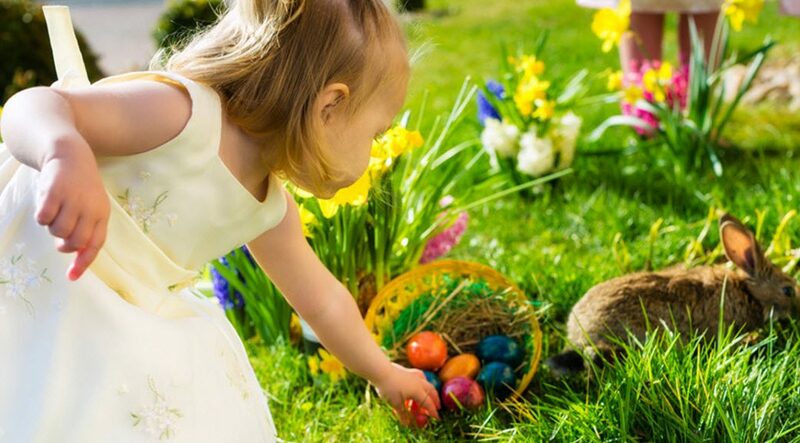 Before breakfast on Easter Sunday, it is a popular tradition for children to surprise with Easter eggs or nest in the garden or apartment. At the family breakfast small competitions are fought out: Two hard boiled, colored eggs are beaten together with their tips. The one whose egg tip does not break wins and continues to play. This game is called “Easter Eggs Ditschen”.